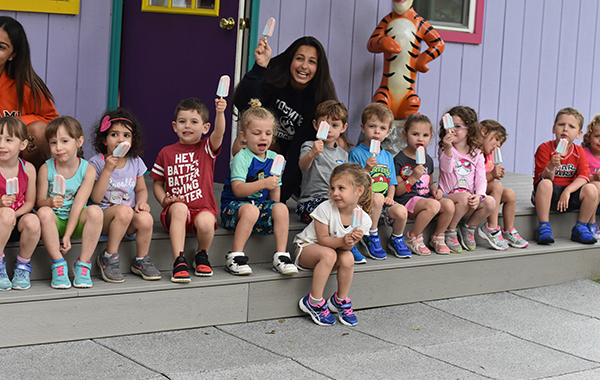 Our co-ed Pre-K program gives 3 ½ to 4 ½ year olds an opportunity to discover all the fun and excitement of summer camp while developing their social skills and self-confidence. The activities for this age group include soccer, hockey and other ball skills, which take place on our fields and courts scaled for age appropriateness. Our other activities incorporate specials in nature, art, music and gymnastics, all of which are conducted by our specialty counselors and held in indoor facilities. The campers are always under the supervision of our mature superbly trained staff. We provide young children an opportunity to participate in the fun and excitement of a full summer camp experience while promoting their social skills and self-confidence under the supervision of our mature staff. 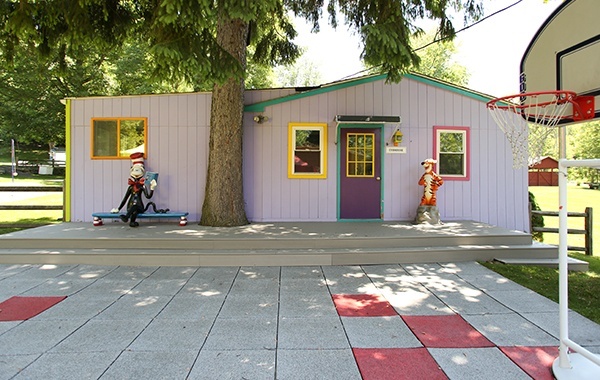 The Cubhouse is a wonky looking building that’s filled with enough personality to match our littlest campers. During the day the cubhouse is used as a shared bunk where campers store their bags and change for swim. And sometimes, when it rains, we use it to watch movies and tell stories! A day in the life of a Pre-K camper is never dull. 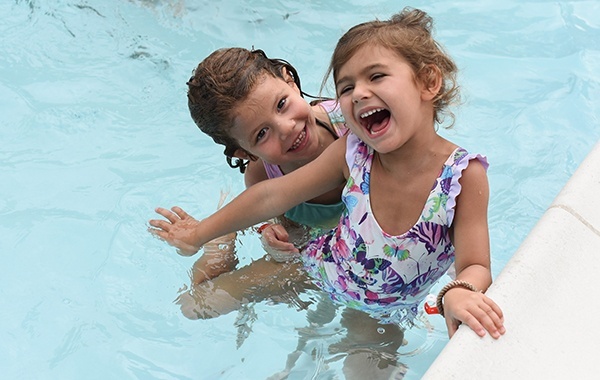 From instructional swim in our heated 3-feet deep small pool, to basketball and other activities, our campers have the opportunity to do just as much as everyone else at camp. But don’t worry, we always make time for a snack, a rest, or even a nap. We require a certified elementary school teacher to lead our Pre-K group. In addition, we make sure to maintain a 4:1 camper-staff ratio to ensure that each child is cared for and nutured throughout the day. This ratio is even higher during swim periods where we have certified swim staff on duty at all times.